What Medical Marijuana Strain Should I Use? With so many medical marijuana strains available, are you left feeling lost? CannaSOS offer a simple way to help find your perfect medicine. These days, there are more strains of cannabis than ever in history. With so many options, you can get a strain perfectly suited to your medical needs. But with such a large pool of varieties and so little standardized information, how can anyone who isn’t a professional possibly find what they are looking for? Right now, the cannabis industry seeks to standardize the way we label strains. Some researchers are even compiling genetic databases of thousands of kinds of cannabis. But with the concentration on data for growers and dispensaries, a glaring hole has arisen. While growers and professionals have ways to look up what they want (lineage, THC levels, etc. ), patients need their own system. One based on experience, on symptoms. Learning how each marijuana strain might affect you can go a long way towards utilizing the plant’s potential therapeutic benefits. If you want to find your perfect strain, only one site offers easy searchability and all the information you need. Whether you want a strain tailored to your aches and pains or fun in your brain, the database at CannaSOS lets you tailor your results. You can share the info you find with their unique infographic system, instead of a link and a photo with text below it. Easy to search, find, and share. In an attempt to help both new and frequent users determine what strain is right for them, CannaSOS has combined a short list of what they consider “go-to strains” for certain conditions. What one person thinks of a particular strain might be different from the next, so CannaSOS has taken that into account. They break down characteristics by positive and negative effects and then include patient reviews giving stats on who likes it most, and what it helps them with, by gender, age, and condition. What makes CannaSOS really stand out isn’t just the wealth of information, but how easy they make it understandable. Want an idea of the way a strain smells? Just check out the picture above, where you can see that OG Kush has hints of pine, earth, pepper, flowers, and fuel. Want a truly personalized experience? The search method is simple. Go to CannaSOS to find your perfect strain. First, select your preferred strain types, sativa and hybrids, then how you do (and don’t) want to feel. Then narrow the results by your medical conditions, favorite flavors, etc., and voila! After a few short clicks, you’re not left with dozens of confusing options. You’ll have one strain perfectly paired to you. With almost 2,000 strains, and more added every day, you never need another strain finder again. No platform is simpler or more informative. Even better, CannaSOS is a social platform where you can be your cannabis-loving self without getting banned. Go to CannaSOS and see the difference. Get the information you need, the way you need it. 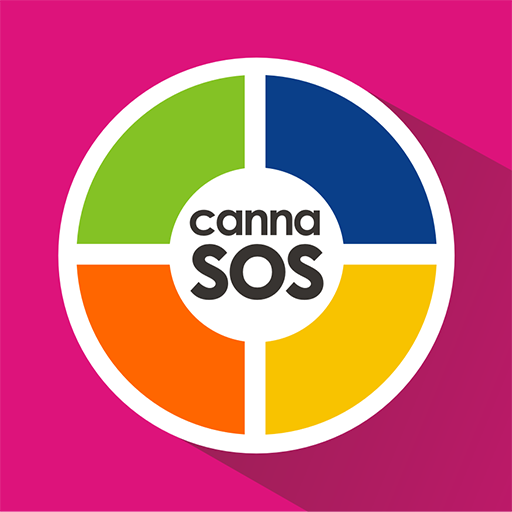 CannaSOS invites all cannabis enthusiasts to join our stoner’s social network.